Imagine stripping away all the myths and superstitions, then imagine hearing this story raw, as if you have never heard of it, seen it, or read it before. 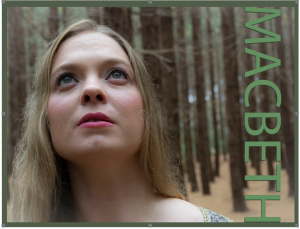 In this passionate production of MacBeth, The Raw Shakespeare Project bring to life the real story often hidden beneath the legend of The Scottish Play. In the Scotland of many Kings – a 10th Century land of Celts – we find the Lord and Lady MacBeth as real people…good people, and a loving couple who make a mistake…a mistake that heralds their tormented downfall and brings an entire country down with them. 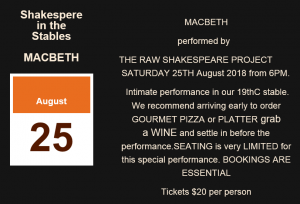 This raw, intimate and emotionally charged period production strips back the many layer’s that time has added, to simply and powerfully perform Shakespeare’s amazing work.